Now you can generate additional revenue and increase traffic to your site with our new dealer import add-on! 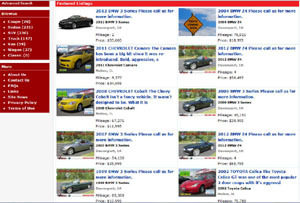 This brand new custom add-on allows you to automatically import hundreds or thousands of Car Dealer vehicle listings into your MarketGrabber website. Setup Feeds from Dealer's Inventory Management Company using our backoffice setup tools or use our setup assistance service. 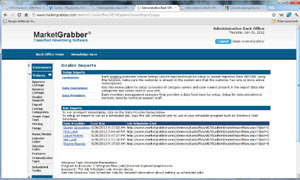 Process Scheduled Feeds Daily and View Dealer Listings Display on your site! Any inventory management company that can produce a delimited output feed can be supported. NOTE: Your first feed setup is FREE. Setup for each additional feed is $49. Please contact us today for more information or if you would like to place an order!